Coca-Cola isn’t just giving people more beverages in more categories to choose from these days. The company also is leading the way in making product information more accessible in more places. From ingredients to Genetically Modified Organisms (GMOs) to sugar and calorie content, people can learn more about their favorite drinks than ever before. At the heart of Coke’s commitment to product transparency is its continued expansion of SmartLabel, which provides Americans with a wealth of nutritional information simply by scanning a QR code on the package of their favorite Coke beverages. The company first introduced SmartLabel on its packaging in 2016, and is on track to have a QR code on all of its more than 2,000 products in the U.S. well in advance of a 2020 regulatory deadline. In today's fast-moving, hyper-connected world, Coca-Cola knows that people are increasingly looking for information on the go. 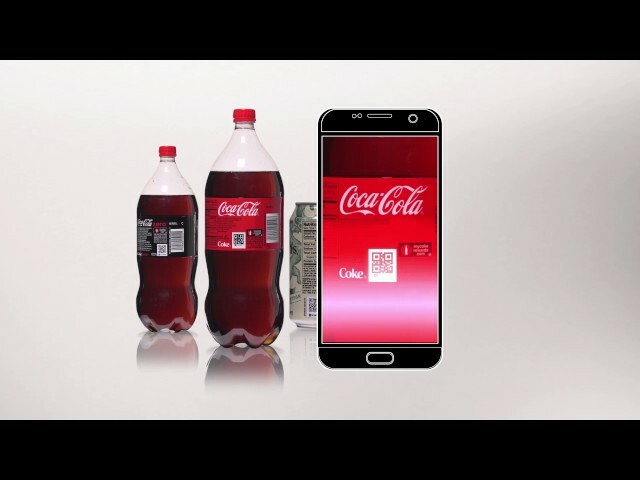 In fact, 99% of Coke’s SmartLabel traffic is coming from mobile, so the company is taking steps to make product information easily accessible on these devices. Coca-Cola is making greater strides to provide transparent nutrition information to consumers. The company has advocated for more transparency in labeling by petitioning the Food and Drug Administration (FDA) to implement the new Nutrition Facts Panel (NFP) by 2020. More recently, the company submitted comments to the U.S. Department of Agriculture (USDA) to voice support for the nationally standardized bioengineering (BE) ingredients labeling law. Coca-Cola also is ensuring consumers find the right product information through online search platforms. The robust, user-friendly Coca-Cola Product Facts website includes detailed ingredient information about Coke’s full portfolio, as well as clear, detailed answers to commonly asked questions about sugar, calories, caffeine, sweeteners and many other hot topics.